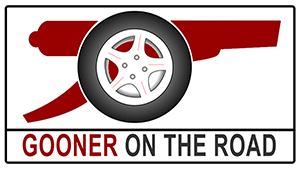 Who is the Gooner On The Road? Manly Beach has been my town of choice for watching the Napoli match whilst on the road. After having spent a few days 'all the way out there' in Perth, I landed in Sydney a few days ago so I could spend the festive period on the East Coast. There's a lot more going on over here, that's for sure. You've got Sydney, you've got Gold Coast (Australia's version of Bournemouth Beach, only more sharks and less chavs), and of course there's the Great Barrier Reef which, with any luck, I'll be mildly drowning in next week. Manly Beach is one of the Sydney area's two anchor beaches, the other one being the infamous Bondi Beach, where orange-skinned teenagers with shorts around their ankles go to 'catch the surf'. What I can't get used to here is the complete lack of anything resembling Christmas. Actually that's a lie, you'll still see the occasional Santa here and there, fully kitted out in typical fat-Santa dress, sweating profusely in the thirty-degree baking sun as they tell children to behave themselves. Poor buggers. Aside from that though, there's no snow, the trees are green, people are running around on the beach practically naked. It's just odd, but I'm certainly not complaining. For the Napoli game, being a 6:45am kick-off, I watched it with my host Luke at his house in Manly. It was a poor performance and a poor result, and I'm not particularly happy with finishing second in the group, but as they say, if you want to win a trophy like the Champions League you have to play the best eventually. I'd still prefer to draw PSG over Barcelona though. What a massive game. Come On You Gunners!